Stocks shook off last week's Portuguese bank scare on Monday. The Dow finished the day back above 17,000 and just barely missed a record-high close. The Dow finished 112 points higher at 17,055 after hitting a new intraday peak of 17,085 at earlier in the session. The S&P 500 and Nasdaq were both up around 0.5%. The rally comes as Goldman Sachs released an upgraded target for the S&P 500. Analysts there now think the blue chip index will hit 2050 by year's-end instead of 1900. The S&P 500 closed at 1,977. 1. 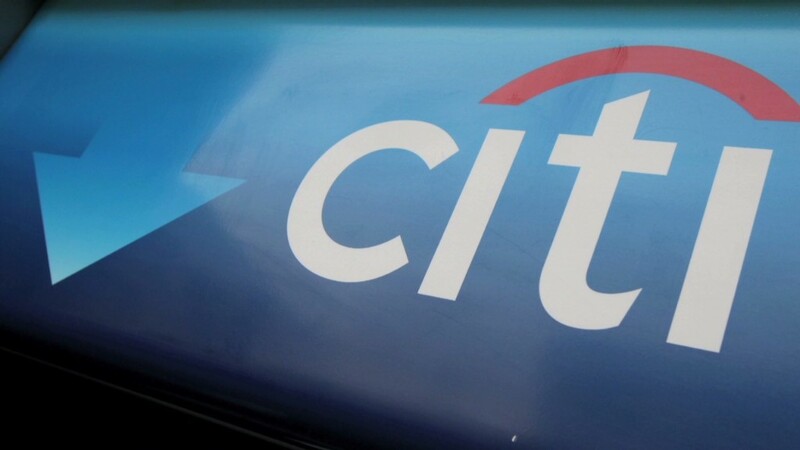 Bank bump: Citigroup (C) reported earnings that beat expectations despite a $7 billion settlement with the federal government over mortgages it sold during the financial crisis. The stock was up about 3%. Wells Fargo (WFC) sat out the bank stock rally though. Shares were slightly lower even though it reported on Friday earnings and revenue largely in line with Wall Street expectations. 2. Tech movers: Several well-known tech stocks were up big Monday. Netflix (NFLX) rose about 3% while Amazon (AMZN) gained more than 2.6%. Advertising giant Omnicom (OMC)'s Annalect subsidiary released a research report that says binge watchers are more open to ads than marketers previously thought, which may be good news for Netflix and Amazon's Prime service. In social media news, Facebook (FB) and Twitter (TWTR) both said that the World Cup smashed activity records: Facebook said the Germany vs. Argentina championship game's 281 million interactions made it the most talked-about sports event in the site's history. Twitter said 618,725 tweets were getting sent every minute at the end of the match, a record for an event. Facebook shares were up 2.3% and Twitter stock was flat. Apple (AAPL), fresh off an upgrade from Barclays, rose 1.3%. 3. Pill pusher pursuit: Pharmaceutical company AbbVie (ABBV) presented a fifth, and seemingly final, offer to Irish drug maker Shire (SHPG) in a bid to move lower its tax liability. The magic number that charmed Shire's board into recommending shareholder approval is about $54 billion, 35% higher than the original offer. AbbVie's shares were flat. Shire's American shares are about 2% higher. Perrigo (PRGO), a U.S. generic drug company that is domiciled in Ireland for tax purposes, may also be a takeover target according to Israeli business paper Globes. 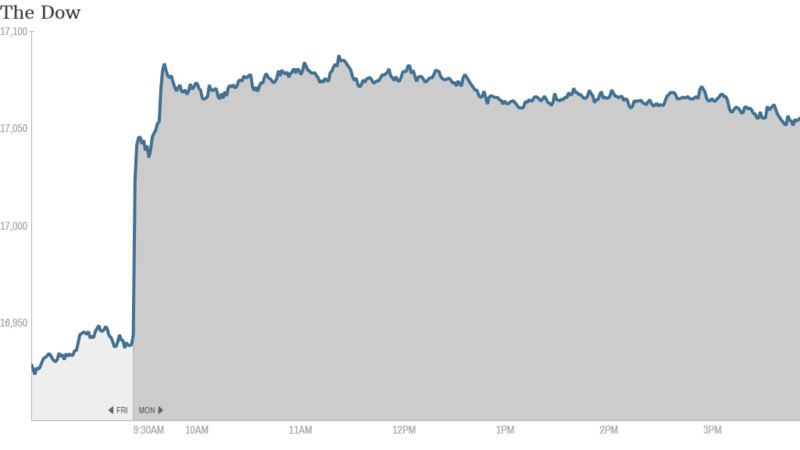 The stock was up almost 8.7% to top the S&P 500 Monday. 4. Gold bust: Gold was down 2.15% and silver prices were 2.2% lower. Gold traditionally acts as a hedge against inflation, suggesting investors may be less worried about it. Meanwhile, the dollar strengthened against the pound but weakened against the euro. 5. International markets: European stocks did well, with the FTSE 100 up nearly 1%. World Cup winner Germany's DAX finished more than 1.2% higher. Asian stocks finished the day mostly up, with the Nikkei up almost 1%.